For Every Home is a brand new fashion fragrance company that began last 2007 and just expanded into Canada in January 2013. Their founders, Becky and Paul Anderson created the company for people to share moments, milestones and memories right inside their homes. For Every Home is selling candles that are safe, healthy and renewable fragrance such as their SoyPlus Coconut. They have chosen SoyPlus Coconut because of the benefits that it gives to its users. Some of its benefits are: burns longer and cleaner, no black emissions mostly found on petroleum-based products, more cool burn, lasts longer and is fragrant. Their innovative products are sure to become a staple in many Canadian homes. 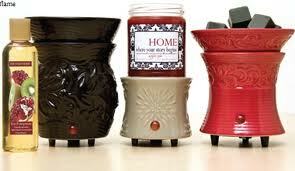 Their unique blend of soy wax and coconut candles as well as their O.A.M. sprays – Patented Odor Absorbing Molecule (O.A.M.) Technology tackles the toughest odors and instantly freshens the air and O.A.M. gels, their most popular innovation with dozens of uses! Try O.A.M. gels in the bathroom, car, bedroom, under the sink, by the litter box, and at the office. Non toxic, safe to use around children and pets. For Every Home consultants enjoy great rewards; 25-38% commissions and monthly team bonuses plus the fun of joining home parties.